In 2012 I wrote numerous blog posts about the ironically named "Every Student Every School" funding model and the impact it would have on disabled students in public schools. I wrote to the Minister for Education, the Premier, the Opposition Leader and I went and spoke to our local Member of Parliament. I went to a protest and was interviewed on TV (which was quite the anticlimax!)! I got nothing but shrugs and form letter replies. There is indeed now a crisis. There is not enough funding to provide adequate support for children who are expected to just cope in classrooms that simply cannot support the physical, emotional, sensory, social or academic needs. That is what happens when individual support funding is taken away and replaced with a"bucket" of funds smaller than the total amount previously supplied. Many, many parents of Autistic children are choosing to homeschool their kids because of this crisis. And our government doesn't care. I read the Gonski Report. I don't know if Mr Abbott or Mr Baird did. If they did, I can't understand what their problem is. The report was very clear...... real needs-based funding for students with a disability is essential in our schools if we want to include them in a meaningful way in our education system. But perhaps that is the issue? Perhaps our politicians don't see inclusion as a valuable goal. Perhaps they just want disabled kids shut away where no one has to see them. 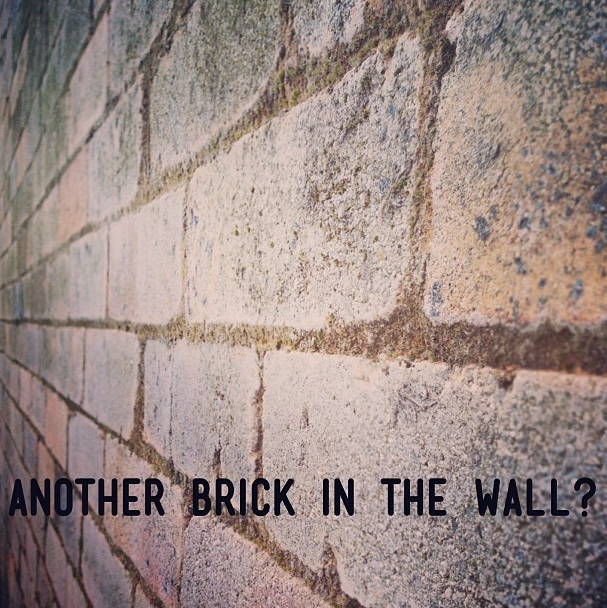 image: a brick wall and the words "another brick in the wall?" It seems very much like our government is happy to be another brick in the wall, helping add to the isolation of disabled people from the rest of society. Well, they will get what they want, and it will be to the detriment of everyone. Diversity is good, valuable and normal. Every child in our society has something to offer. In fact, I know a few primary school aged children who already understand better than our Prime Minister the value of inclusion, advocacy for human rights and being kind to those we share this planet with. Our current government shows none of these qualities, and even though people are starting to talk about these issues more openly I fear things will get much worse before they get better.